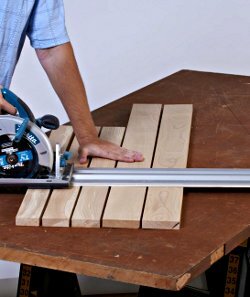 The capabilities of a table saw that you can take to the yard or job site ! The All New True-Trac Track Saw System is... Superior To Other Track Saws In Many Ways ! 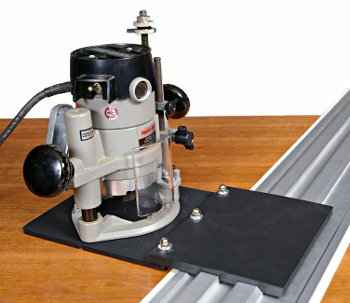 It's the perfect companion for your MARK 7 or Mark V, when you need to break down cumbersome sheet goods -- or want all the capabilities of a table saw on-site! 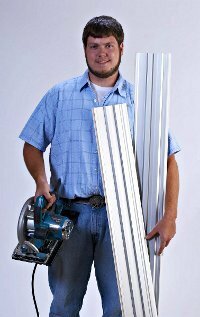 Optional Extension Kit Cuts Up To 100"
The grooves in the bottom of the saw adapter plate match the shape of the twin track rails precisely - for ZERO play and straight, smooth cuts - EVERY TIME ! 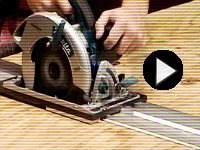 True-Trac is NOT to be confused with bothersome Guide-AGAINST track saws! 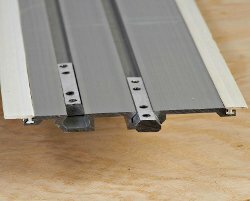 The True-Trac Start, Extension and Combo Kits are currently delayed. Expect a 5-7 week delay from the time you order until shipment. 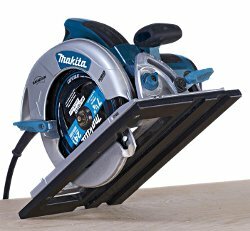 Extra 7-5/8" x 13" x 3/8" plate lets you have two different saws (corded and cordless, for example) ready to go when you are. 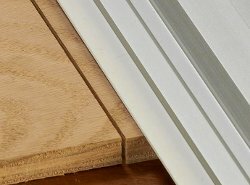 Having spare 57" long edges lets you switch between different saws fast. 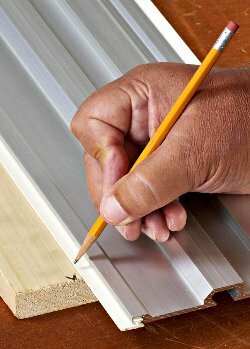 Specially designed toggle clamps slide quickly and easily into the bottom track grooves of your True-Trac to grip stock from 1/4" to 3/4" thick and hold the track in position when sawing or routing problem materials. 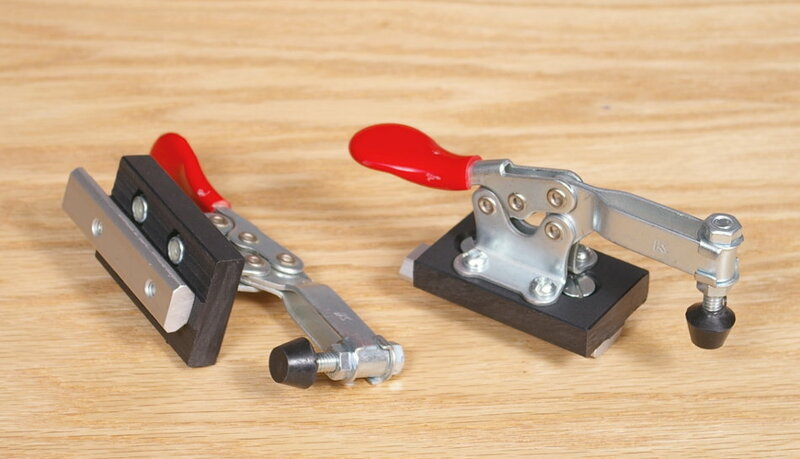 Includes: Two fully adjustable toggle clamps with bottom sliders and rubber hold-down jaws.